True Ames Nat Young longboard fin available in 9" to 9.5"
Note: Fin sizes represent colours only. Size choices are scaled accordingly. Nat Young. The Nat Young. While revolutions danced in the heads of surfing theorists, Nat Young, emphasizing the performative, encouraged the water-bound masses to welcome great paradigm shifts. 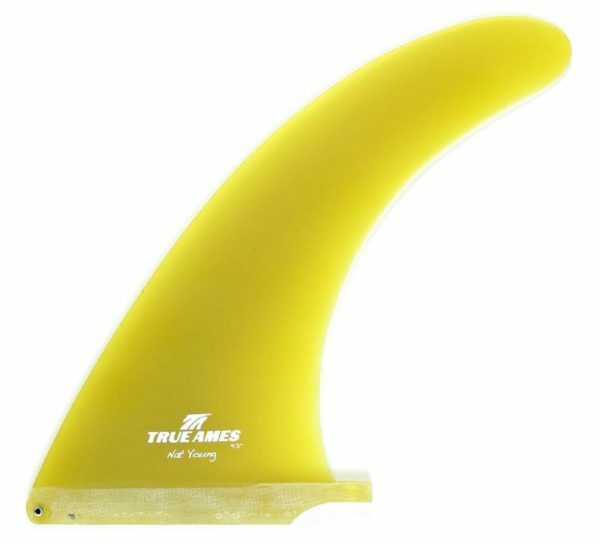 Exposing the wounds of so many upheavals, Nat’s surfing always exhibited versatility, and this all-around fin embodies just that for the single-fin longboard. This fin has been in the True Ames template library from the beginning. 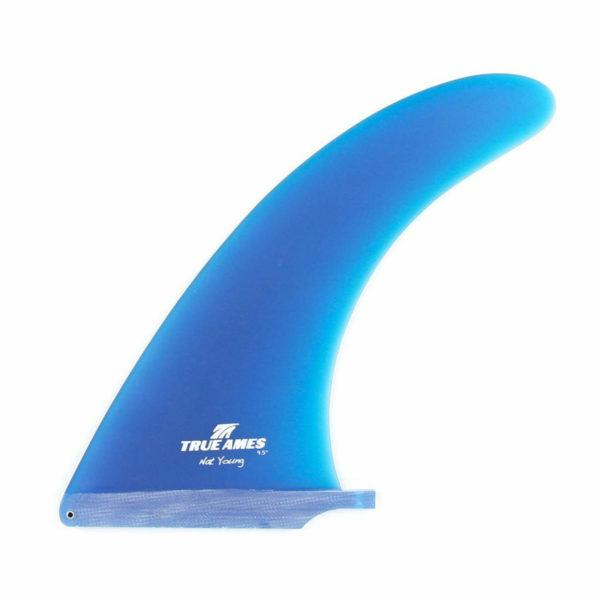 With classic lines and curves that come from the single fin revolution era, it makes an excellent choice for all around traditional longboarding. It responds exceedingly well to turns, while maintaining the ability to noseride. An ideal pick for boards in the 9’ – 9’6” range. Comes with a stainless steel plate and screw.